The demands of everyday life can be very exhausting – physically, emotionally, and even spiritually. We perceive things or situations to be very important in our lives and this leads to stress for performance or fear of loss. Meditation, which is the practice of putting oneself in a state of mind to achieve mental and emotional balance. Meditation is not an action, and therefore is really not a verb. Meditation is not something that is “done”, but rather a state of mind that comes from reaching inner peace through the mastering of the body, mind and spirit. People across all cultures and religions have been practicing meditation for centuries. In fact, the tradition had been recorded in Hindi text as far back as 1500 BCE. Practicing meditation has many physical and mental health benefits that allow the physical aspect of our lives to balance with the mental and spiritual dimensions of life. Meditation allows us to go within ourselves and use our intuition to pick up on our true desires. Meditation also allows our conscious mind to give productive and positive orders to our subconscious mind to bring about in our lives. Mindfulness is a form of meditation that brings your mind to focus entirely on one thing happening in the present moment. 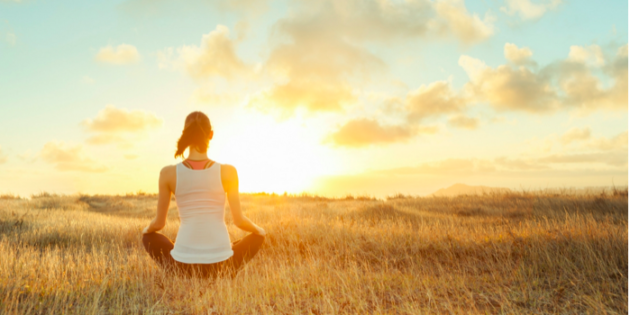 Theoretically, the practice of mindfulness is to achieve enhanced concentration and connect you with positive emotions such as compassion and tolerance. Extensive research was conducted on the positive physical effects that when you regularly reach a state of mindfulness, it can facilitate recovery from many disabilities. Because the practice of meditation helps one attain emotional balance, it can significantly reduce the strain on the heart and adrenal glands. With regular practice, heart function improves as blood pressure decreases. When in the right state of mind through regular meditation the body feels less strain, it reduces stress-related consequences such as depression, fear, panic attacks, mood swings, insomnia, indigestion, and lack of focus. For these reasons I recommend the practice of meditation. Because meditation requires some discipline, bringing it into your life may seem intimidating at first. However, the practice is easy to weave into your life, and there are no rules on how frequent or how long you should practice meditation. Some people find meditating for 5 to 10 minutes each morning is enough to last them the whole day while someone else will choose to meditate for 20 minutes to reach the tightened state of mind. Set your alarm 10 minutes earlier than you ordinarily would. When you wake up, sit up in bed, close your eyes and take slow deep breaths. Mind your breathing. Just be present in the moment. No need to analyze or think. Do nothing else but sit and breath. Take pleasure in this practice. You may also choose to practice mindfulness by listing ten things you are grateful for. Morning meditation is a great way to give you that boost of energy and clarity to start your day right. Meditation during your free time is ideal for people who work stressful jobs. Pick a quiet spot at your office or go to a nearby park during your break. Take five to ten minutes to sit and close your eyes. Take long, deep breaths that feel natural; never force your breathing. Clear your mind or focus on the positive. Just be in the present moment. perceive anything happening within you and just be present. Meditation before going to sleep is an excellent way to ensure you sleep well. Sit in a relaxed position. Silence the noise and bring yourself to a relaxed state. Breath deeply a few times and just be present. Feel your heartbeat pulsing and notice it slowly coming down, aim to breath fewer but deeper breaths every minute. You may also choose mindfulness by focusing your thoughts on all the things that you are thankful for, and in this way you fall asleep feeling relaxed, at peace, and satisfied. Remember, each person has their own personal meditation technique. Only you understand and can navigate your body and mind to calm your thoughts. Some people can quickly quiet their minds, others want to stay in a meditative state for longer to sort through their emotions or for no particular reason. Before long, you will find a habit that works best for you, your mind, and your body. Psychoneuroendocrinology. 2017 Dec;86:78-86. doi: 10.1016/j.psyneuen.2017.08.003. Epub 2017 Aug 4. Wolfram Klapper, Karen Kühne, Kumud K. Singh, Klaus Heidorn, Reza Parwaresch & Guido Krupp (1998). “Longevity of lobsters is linked to ubiquitous telomerase expression”. FEBS Letters 439 (1–2): 143–146. doi:10.1016/S0014-5793(98)01357-X. Jacob Silverman. “Is there a 400 pound lobster out there?”. howstuffworks. David Foster Wallace (2005). “Consider the Lobster”. Consider the Lobster and Other Essays. Little, Brown & Company. ISBN 0-316-15611-6. Cong YS (2002). “Human Telomerase and It’s Regulation”. Microbiology and Molecular Biology Reviews 66 (3): 407–425. doi:10.1128/MMBR.66.3.407-425.2002. PMC 120798. PMID 12208997.